People return to their normal lives after the holidays. They’re back to their routines while the memories of festive days remain deeply in their minds. Since the holidays are the season where most individuals tend to forget their health, they become busy burning the excess calories at the gym through strenuous workouts. On the other hand, your teeth also deserved to be pampered after a heavy holiday indulgence. Eating sugar-packed foods are almost impossible to resist, so your dental team at United Smiles Dental is here to rescue your teeth by keeping them clean and free from tooth decay. As you welcome a new year, be committed to protecting your teeth by preventing the development of any dental problems. 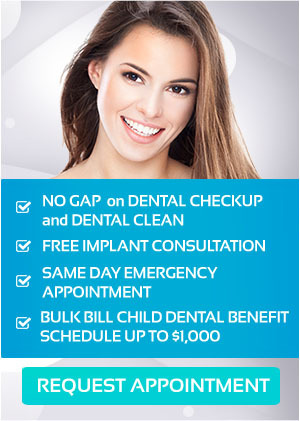 You can easily do this through dental check-ups and professional teeth cleaning. Preventative dentistry focuses on preventing oral health issues before they develop. This includes dental check-ups and cleaning, which involves a set of dental care routines designed to ensure overall oral health wellness. The preventative care program reduces your risks of many forms of dental concerns and mouth diseases as well as secures the health of your teeth, gums and entire mouth. It makes you understand more about the significance of proper oral hygiene and how to do it at home correctly. Moreover, it encourages you to be committed on such important routines. With regular check-ups and cleanings, you can gain knowledge about your oral health, which is the essential foundation for successful prevention. Without enough awareness and information, you will not succeed against toothache, gum disease, bad breath and other detrimental oral concerns. Because of this, preventative dentistry teaches you about taking care of your teeth and gums right from the start. It’s a great idea to visit your dentist soon after the holidays. Your dentist knows best about keeping your mouth in superior condition. Regular dental visits allow your dental team to monitor your dental health and pinpoint any problems before they become serious. Your dentist will perform a comprehensive examination and thorough dental cleaning as part of your six-monthly check-up. This part of a preventative care program is a great investment for a healthier wellbeing and more enjoyable life. Imagine a day without suffering from any form of oral health diseases simply because you are protected and free from worrying about their harmful consequences. Exceptional oral health offers numerous benefits that can significantly improve your appearance, confidence, disposition in life and even your physical and emotional wellness. Most of all, you don’t have to experience invasive procedures and spend a lot for costly dental treatments because your mouth is in good shape. Your dental care partners at United Smiles are pleased to help you keep your oral and dental health on track. Get your teeth checked and cleaned after the holidays to prevent the formation of cavities and occurrences of dental pain. Set up an appointment today with your Mernda dentist at United Smiles. Have a squeaky-clean mouth throughout the year! United Smiles is conveniently located in the heart of Mernda Village, serving patients from Doreen, Beveridge, Whittlesea, Mernda and from all Melbourne metro areas. Our dental office includes ample parking available at the rear of the building. Wheel chair access is also available from the front of the building and all of our surgeries have been built to accommodate this. For HCF and CBHS, claim your PAY NO GAP OFFER on Check-up, and Clean. Bulk Bill Child Benefit Schedule Up to $1,000. Don’t miss our latest offers. Book your appointment online or call us on (03) 8682 8658. When is Tooth Bonding the Right Treatment? What’s the Link Between Depression and Oral Health? Children’s Week Is Approaching – Help Your Children Face It With A Smile! © 2018 United Smiles. All rights reserved.